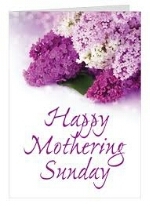 HAPPY MOTHERING SUNDAY - Onome Talk Am! Being a woman is a beautiful thing though not easy; women have got lots on their shoulders which they carry willingly even if not convenient. Oftentimes I hear folks saying“to be a man is not a day’s job”.If being a man is not a day’s job, I can categorically tell you to be a woman is not an easy task too. Women are backbones,have you ever imagined what life would be without the women?Even God appreciated the woman’s importance hence his decision to create a help-mate for Adam. I celebrate every woman today; we are all mothers in the making.If you’ve got your mum with you still living celebrate her everyday; I wish I have the opportunity that you do to tell her how much she means to me, never joke with your mum for she gave you life.Do not hate your mum or wish her death no matter her offence,love and cherish her instead.